Whilst I was working in Soho, I was a PA (both personal and production assistant) for a very successful woman. Countless times she had meetings with big dogs in the film industry and Bob Bob Ricard was a frequent haunt. Being someone who scours internet menus, whether I am going to that restaurant or not; I’ve read this menu many times. It wasn’t until The Londoner wrote a review of her time at the Russian inspired restaurant was I desperate to ‘press for champagne’. 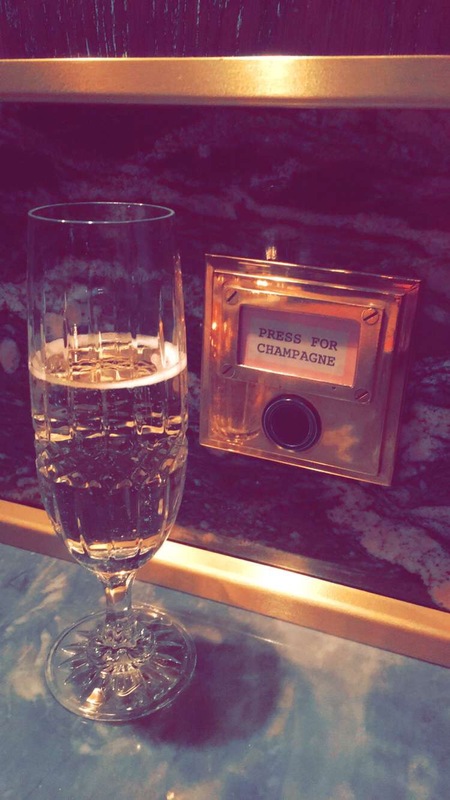 Situated on the corner of Golden Square and Beak Street, every table, or ‘booth’ has a button which once pressed, means a waiter or waitress will ask you if you’d like a glass or bottle of champers. Seeing as it’s £13.95 per glass, I opted for that, and the crystal it arrives in is so elegant I felt transported to an era of Russian tsars. Ordering our favourite wine, picpoul, Charlie and I found it one of the better bottles we’ve ever tried, it was velvety, smooth and incredibly moreish (we got v.drunk). 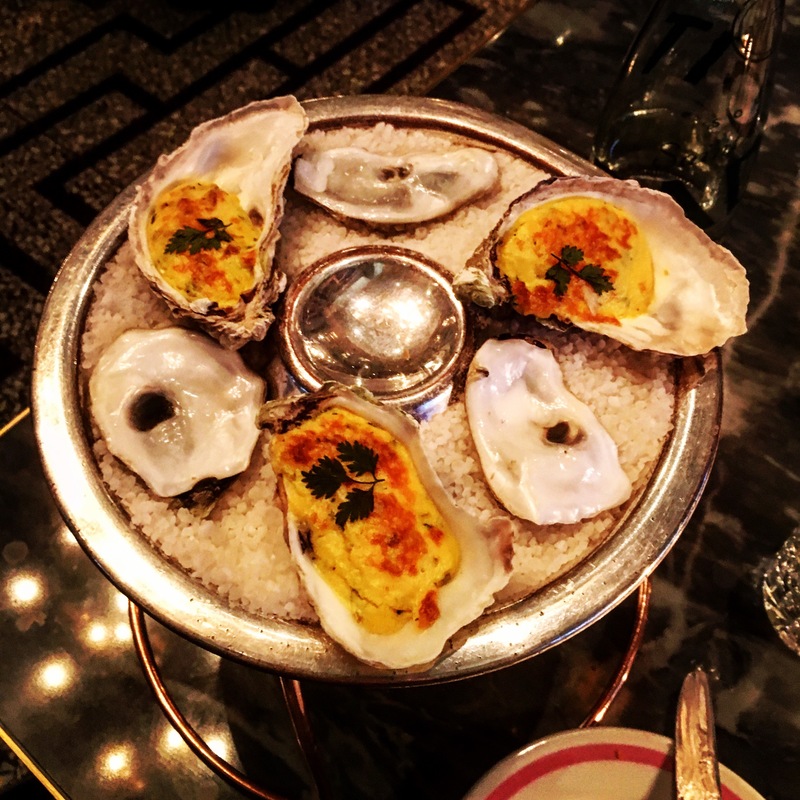 For starters I could not resist trying the grilled oysters in bernaise and chevril. At 3 for £10 I stuck with that number but because it grilled in the sauce it was rather rich and definitely more filling than a normal oyster. The tarragon complimented the shellfish delightfully and I soaked up the rest of the sauce with bread. 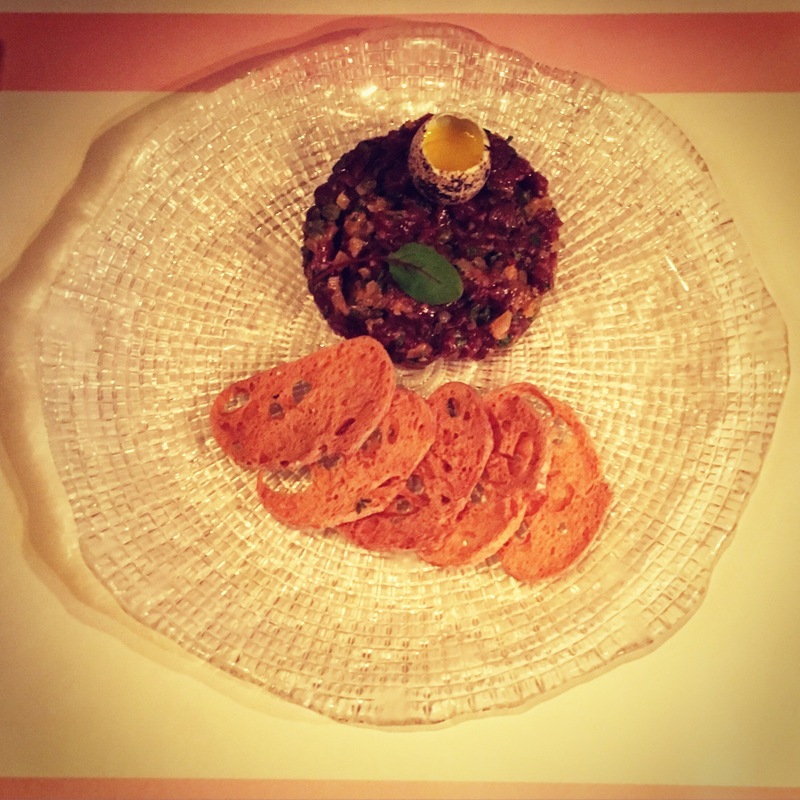 Charlie went for the venison steak tartare with a cute quail egg placed on top. He said it was the best ‘venison’ tartare (Kitty Fishers steak will always win), he’s ever had. 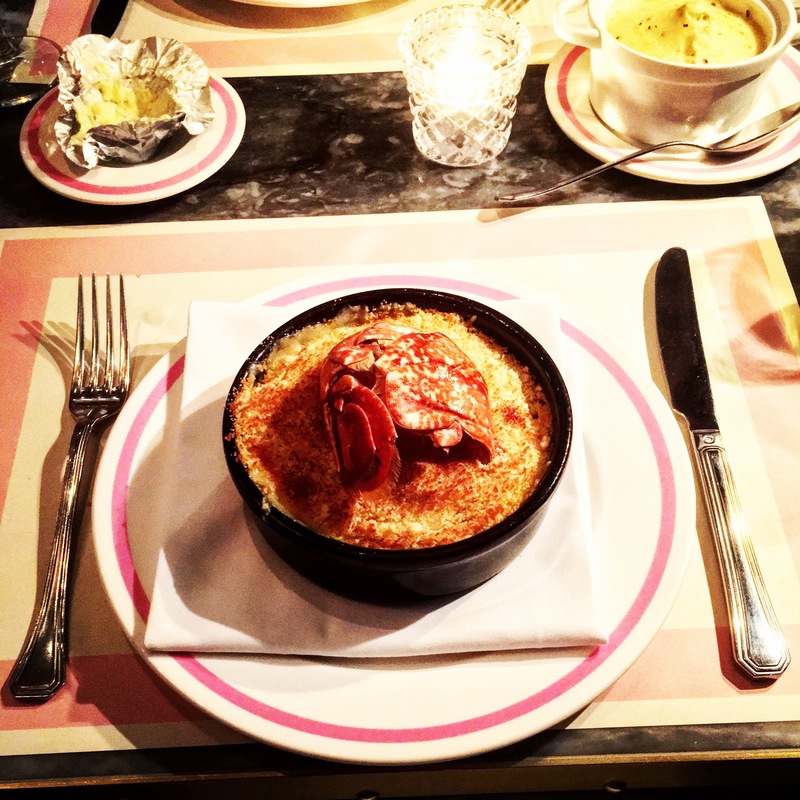 I couldn’t not order the infamous Lobster Max & Cheese, and of course had to go for the truffle mash on the side (carbs on carbs are my favourite). The bits of lobster were nice and chewy, with the Parmesan crust adding to the extra naughty but tasty dish. Charlie’s however blew me away in its tastiness. 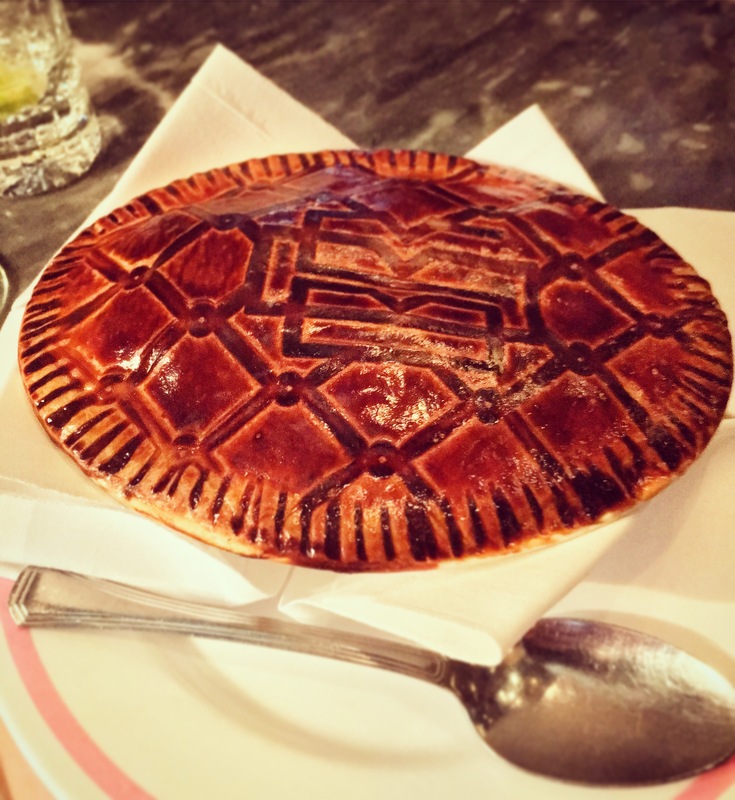 The chicken, mushroom and truffle pie comes with a stunning design on the pastry and then is an infused truffle delight inside. This paired with the mash created melt in your mouth food which made a very happy Charlie, and me because he let me have around three bites of his. He’s allergic to shellfish so couldn’t try any of my food but he was happy enough with his orders he definitely didn’t care. Happily content with our first two courses, we perused the dessert menu and nearly everything jumped out as an option. 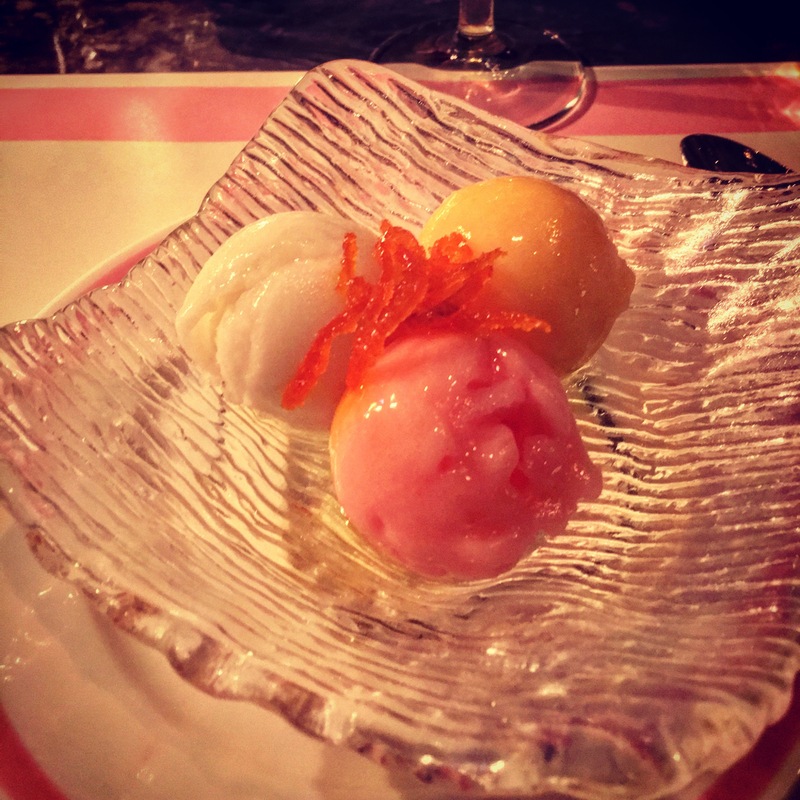 Charlie full on truffle opted for the trio of sorbets soaked in vodka which was super lemony so I steered clear. I couldn’t not go for the signature chocolate dessert which I’d seen all over Instagram. 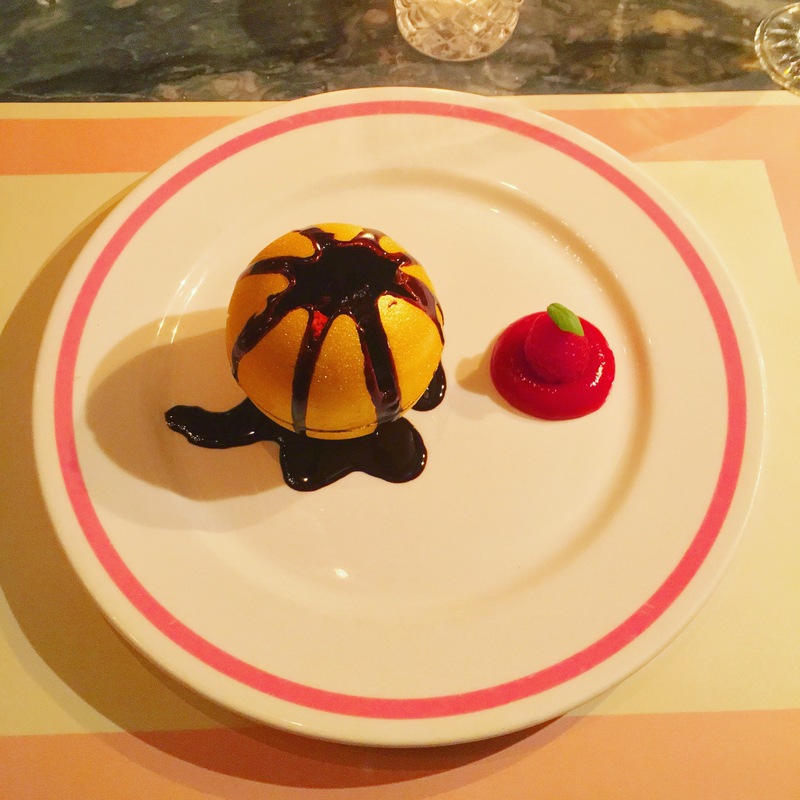 What arrived was a gold chocolate ball, with molten dark chocolate poured over the centre which melted the top and slowly showed inside passion fruit, strawberries and chunks of chocolate brownie with a strawberry coulis on the side. 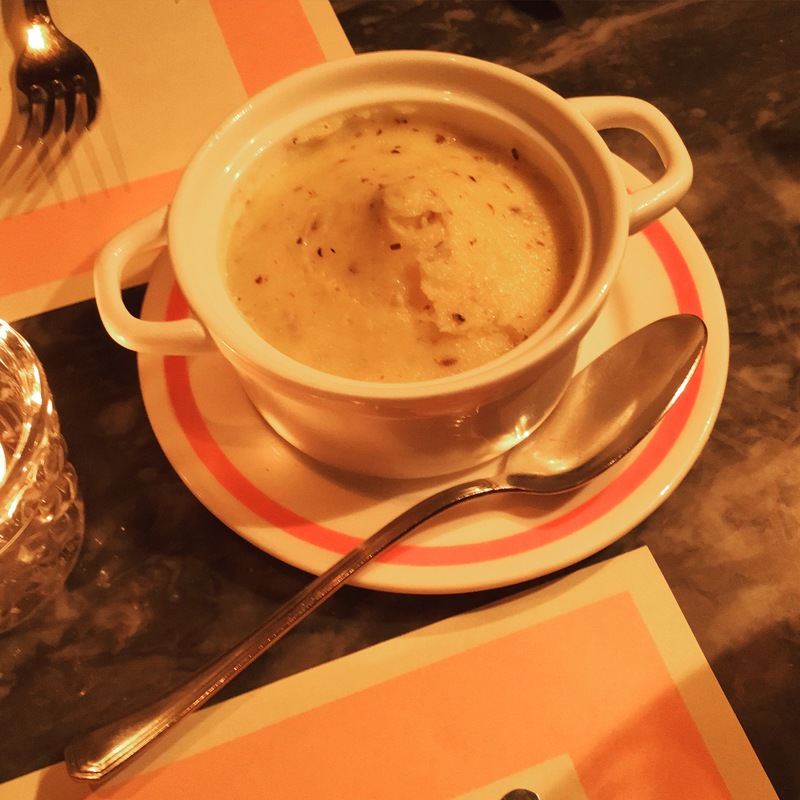 Bob Bob Ricard was unreal, as you can clearly see. Book immediately and enjoy.